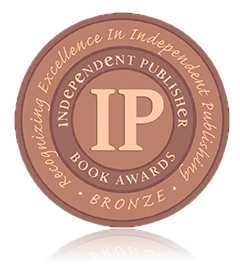 I’m an award-winning science writer. You can find my articles in local publications as well as Universe Today, Astronomy, Final Frontier, Air & Space/Smithsonian and more. 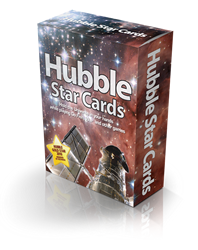 Hubble Star Cards was an original, informal science education project providing parents, teachers and students a fun and exciting way to explore the universe using imagery from the orbiting telescope. From concept, writing, design and self-publishing, my goal was to create a durable set of playing cards that would motivate and engage students to read while developing strategies in learning about objects in space. 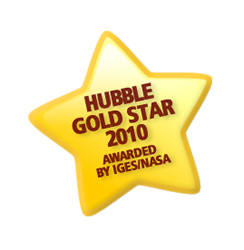 The project won a Hubble Top Star and Gold Star from NASA and the IGES as well as an Independent Book Publishing Award (IPPY) in the Children’s Interactive category. The cards are available for purchase on a dedicated website and Amazon.com. Copyright ©2018 TerraZoom. All rights reserved.